Los Angeles may be experiencing one of the worst droughts in decades this summer, but if you looked at the LA Times on Tuesday afternoon you would get a distinctly different impression. 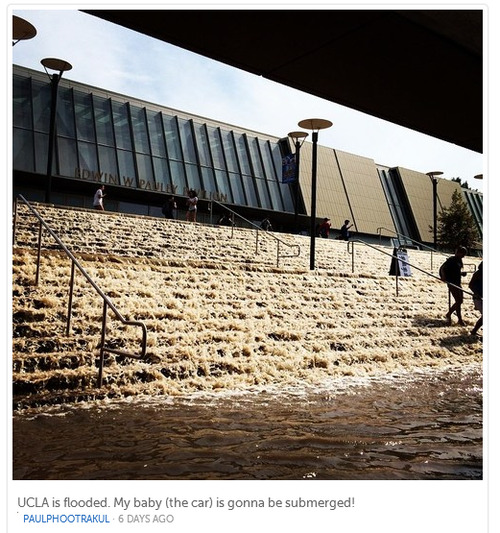 After a major water main broke near the UCLA campus Tuesday afternoon, the LA Times took a decidedly modern approach to cover the story. 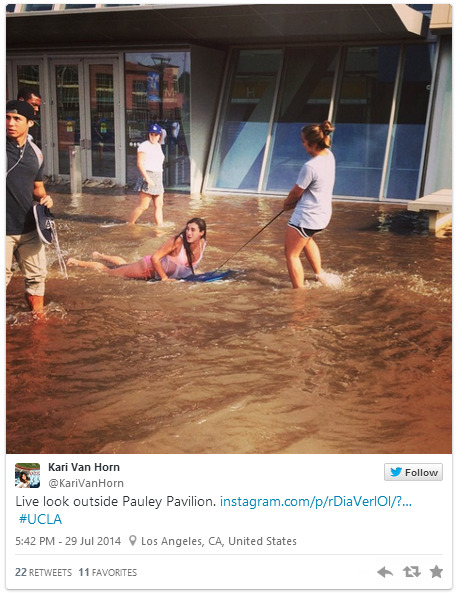 The paper featured photos of a flooded UCLA campus on its website, images that had all been tweeted or otherwise shared on social media. Some of the photos are quite stunning. The LA Times uses Storify, a service we routinely use for clients to document major online events. This isn’t new technology—we have used it effectively for several years. What has changed is the way traditional media outlets like the LA Times are using digital media to supplement the paper’s coverage. With smartphone cameras readily available to take quick photos and videos of major events, media can augment stories with images from people who were there. When the paper can credit a social media user who didn’t have to fight traffic, police, or fire barricades to get the amazing shot for a breaking story, there is no longer a need to send a photographer. The use of these images and platforms like Storify means that any semblance of a line between traditional and social media has been thoroughly obliterated. Now everyone is a reporter, and the biggest news channels have instant access to disaster scenes in ways never before imagined. Companies and organizations need to assume that photos from smartphones at any newsworthy event could end up on CNN or be amplified by the collective power of Twitter and Facebook in a matter of minutes. The truth, or at least dramatic images that display something likely to be believed as the truth, is never far away. 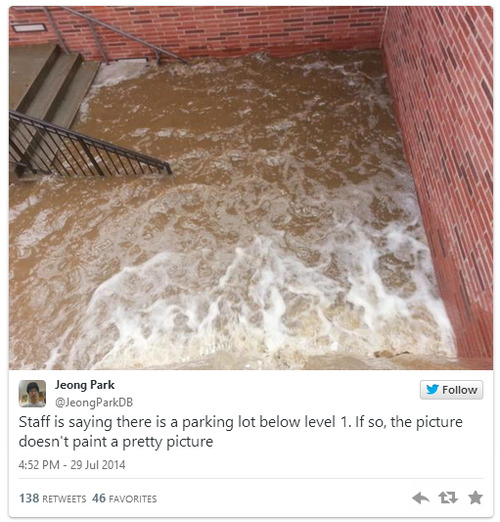 Social media managers and public relations professionals need to be ready for images like these to take center stage.